Hi guys, a neighbour of mine has a mate who is selling a kz 900 Ltd, import but on UK plate, all I know is he want 2750 ono for it , if interested pm me I will give his contact number , based in Preston area. Good basis for someone there. what're the chances of that!!? 8 Valve Mark wrote: what're the chances of that!!? I think the wheel looks correct ? 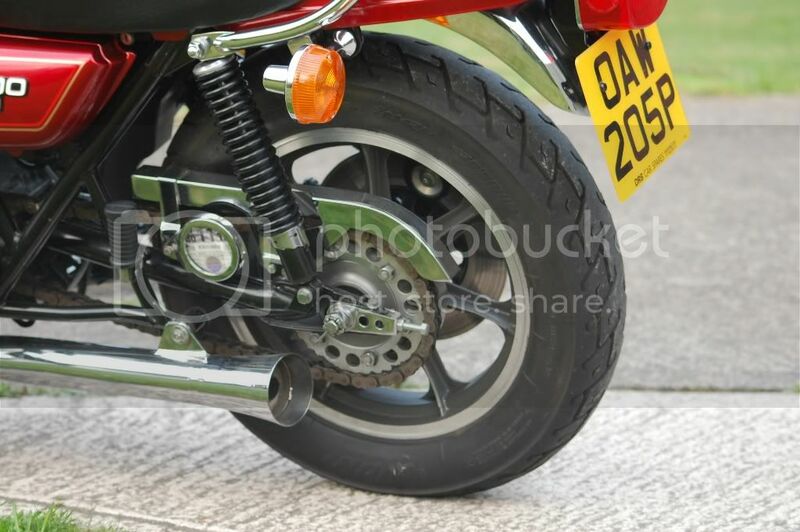 the KZ900Ltd was sold with cast wheels , the rear wheel was 16 inch and had a disc brake instead of a drum brake. It allso had a chromed chain guard , smaller fuel tank and a lot of other things that made it "Ltd". Take a look in Dave Marsdens' book. It'll become clear. Wonder if they were all imported at the same time and registered as a job lot?? garyd wrote: Wonder if they were all imported at the same time and registered as a job lot?? That's what I was thinking , my one is not the one in Daves book, however the reg codes can be sequential even if they were done a year apart , it just depended if anyone else had applied for an age related plate for that year between these 2 being registered , but as there is a kz900 a4/5 for sale with 202 likely to be same container, personally I think anything under 3k for a complete running Z is a decent deal nowadays.